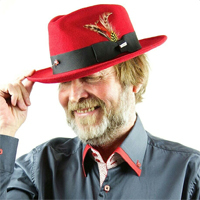 Guest blog by Tony Robinson OBE, the ’Micro Enterprise Revolutionary’, start-up speaker and co-founder of Enterprise Rockers – an independent self-help support group for micro business owners everywhere. As anyone who Follows me on Twitter @TonyRobinsonOBE will know, I’ve spent over 20 years trying to improve the survival rate of start-ups in the UK. Along with other business owners I’ve made many recommendations to Government on how they can reduce the costs of doing business and improve the quality and accessibility of learning and support in the UK. It’s worth it for the fabulous benefits it will bring for the economy, growth, jobs, creativity, innovation, communities and for enterprising people everywhere. Since co-founding Enterprise Rockers (the free to join, self-help community of micro enterprise owners) with Tina Boden two and a half years ago, I have moved from recommending to campaigning and petitioning. The stakes are high. Nearly one in six of the UK workforce are running their own micro enterprise (0-9 employees) and 90% of all new jobs are created by new single person, self-employed enterprises. There is a 40% increase in micro enterprises this millennium and with half a million starting each year there will shortly be 5 million micro enterprises! Compare 5 million with 7,000 large companies (over 250 staff) that get 95% of government funding and nearly all the benefit of business, skills and employment policies. Through all this time I have explained why Government policy should be to enable over 85% of all start-ups to trade beyond 3 years. They can with the right support but under half will survive with the wrong or no support. 6% of all new starts go on to become substantial businesses. You can’t pick the winners, although the Government wastes £millions each year trying, but you will get more winners if you enable more to survive. Government over the last 20 years have made many providers of their schemes rich but had little, or a damaging effect, on prospective and existing micro enterprise owners. In my opinion, a current example is ‘Start Up loans’ which are averaging £5,333 per loan which is 10 times more than it costs in this cheap as chips digital age to start a business and nearly 3 times as much as previous start up loans schemes such as The Prince’s Trust. Worse, the scheme is based on ‘business plans’ rather than the bit by bit ‘test, change, go, test, change, go’ model which has gained popularity in recent years due to bestselling books like ‘The Lean Startup’ by Eric Ries. The Government is still using advisers and mentors to help with ‘business planning’ rather than test trading which I think is scandalous! Instead, they should be helping test trading and advocating ‘bootstrap don’t borrow’. However, the bigger the loan the more the delivery partner makes so it’s no surprise that they push the loans. I fear it will end in grief like Student Loans. I’ve always said that instead of making government providers rich, all support to start ups should be ‘go with the grain’. We don’t need ‘schemes’ – just enable those established and trusted suppliers to micro enterprise owners to provide start up support, using existing micro enterprise owners as mentors, coaches and advisers. Whilst most of these suppliers are other micro and small businesses, there is a role for large company suppliers too. So imagine my delight to see that Sage has launched a comprehensive new start-up support service for just 99p a month at www.sageone.com/startnow/. It digitally ticks the right boxes. It stresses that ‘You DON’T need funding to start something’ and ‘You DON’T need a business plan’ but ‘You DO need the right support’. Sage, Virgin, WinWeb and others that are doing great things for start ups doesn’t let Government off the hook though – in terms of influencing large corporations to do more. Micro enterprise owners, from countries where it is great to start and run your own business, always point out to me the high costs and barriers to ‘going it alone’ in the UK. Government does have influence with large corporations. It gives many of them large amounts of money each year. It could, as one of my petitions state, ask all large corporations it gives public money to, to pay their suppliers within 30 days – instead of the average 68 days currently. Lloyds Bank will achieve this, this year – which is a start.